Hentar öllum og fyrir þá sem vilja góða tilfynningu og svörun sem toppkylfingar vilja ná fram. Stöm, endingargóð og góð í öllum veðurskilyrðum. Standard stærð. 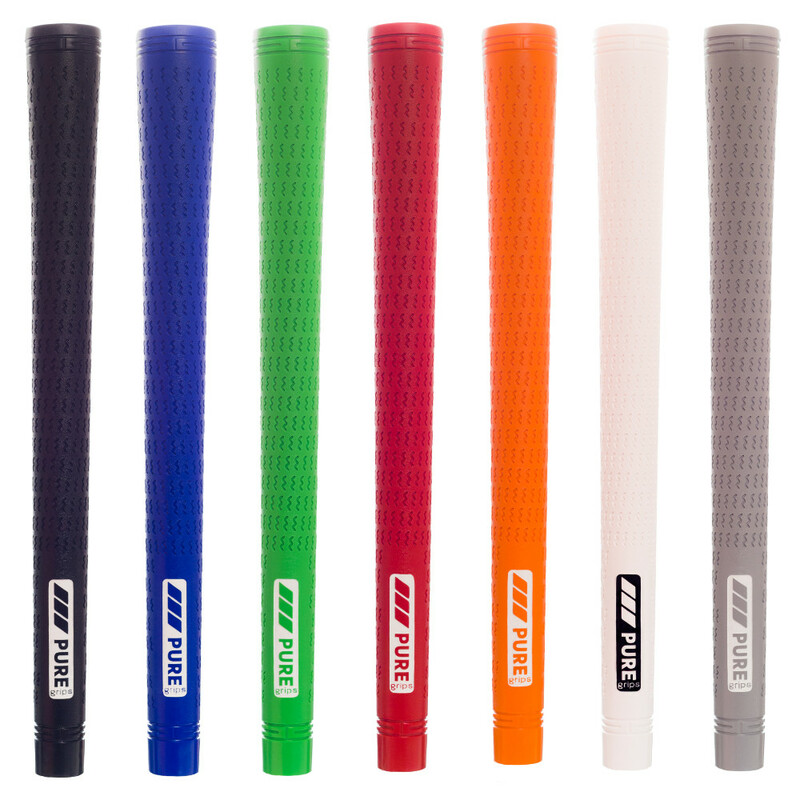 Traction-grooved grip that provides significant firmness and the maximum shot feedback desired by top players. PURE Grips has developed an injection mold process that ensures their grips provide exceptional durability and the best feel on the market. From their raw materials to their production process, they have created numerous technological advancements to give their grips optimum feel and provide a high level of moisture and heat resistance that allows you to play your best in all weather conditions. Tackiness. Comfort. Feedback. Material: 100% proprietary rubber blend. Size: 0.600".